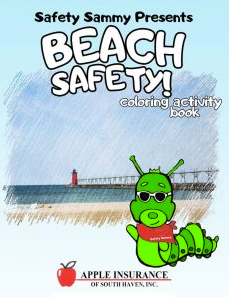 Safety Sammy - Apple Insurance of South Haven, Inc.
Apple Insurance of South Haven, Inc.
Safety Sammy is all about kid's safety education. 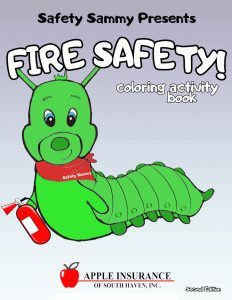 He is an apple worm and the mascot for Apple Insurance of South Haven, Inc in the South Haven Community. 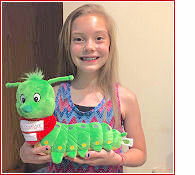 Kaitlyn shows "Safety Sammy", a plush apple worm mascot, created for youngsters by Laurie Willett of Apple Insurance of South Haven. 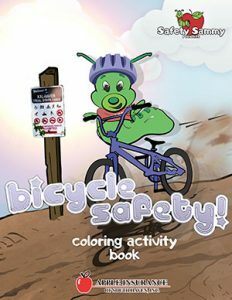 Safety Sammy along with fire safety, bicycle safety and beach safety coloring books promoting safety, are donated to area schools as part of Apple Insurance's commitment to helping the local community. 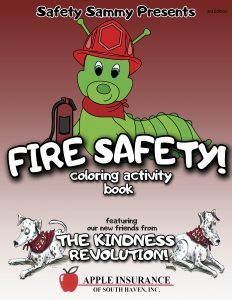 Apple Insurance wanted to inspire kids in the South Haven community to think about safety, so she created Safety Sammy. 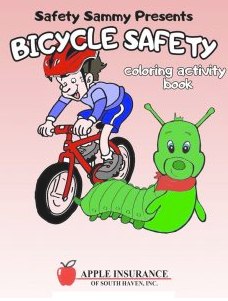 Copyright © 2019 Apple Insurance of South Haven, Inc.. Powered by Advisor Evolved.